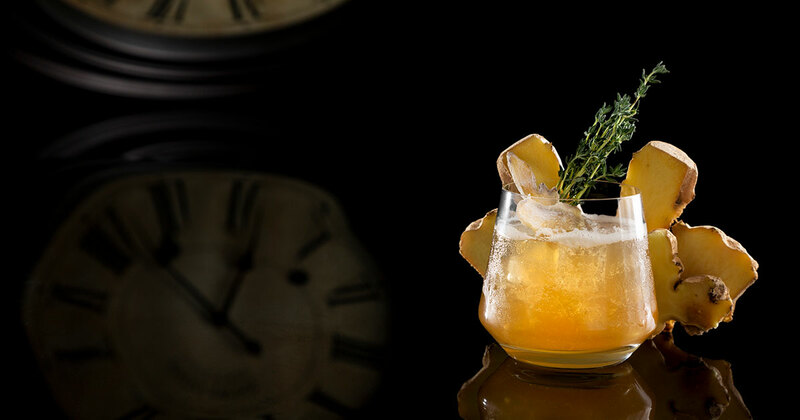 The Ribbon Midtown now serving crafty cocktails in NYC's Times Square. The time-honored question “Where should we go tonight?” doesn’t have a wrong answer, but it is admittedly rare for a Times Square location to be suggested. As with all things in New York though, this may be changing as more affordably priced cocktail lounges, sports bars, and restaurants squeeze themselves between theaters in the Broadway corridor. While venturing too far in any one direction can lead to a maze of costumed characters, break dancers, and long lines to musicals, the little gems between can offer good food, music, and especially drinks to escape all the madness. The Ribbon Midtown on 44th is the first expansion of the popular restaurant, with its first location on the Upper West Side. 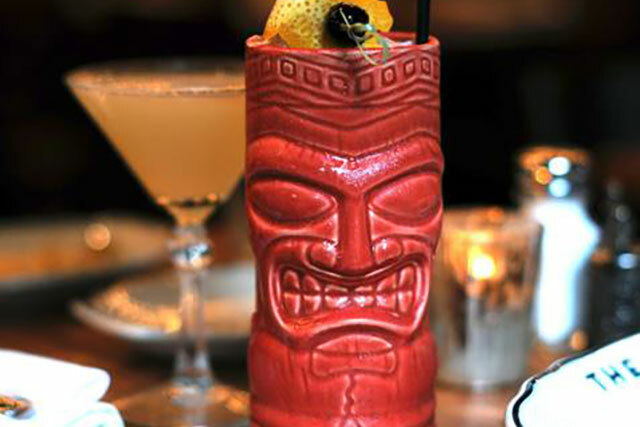 From the Bromberg brothers, the team behind Blue Ribbon restaurants, the New York City institution, The Ribbon – loved for its ability to host such varieties as casual family dinners, rowdy Monday night football games, and private whiskey tasting tables is a safe bet for the neighborhood better known for souvenir shops that craft cocktails. The 44th street location opened in January and, if anything, offers even more diversity. Combining all the elements of a sports bar, family dining, and whiskey tasting that it’s uptown counterpart was known for, it outdid itself by adding a club basement, “Blue”, to further its appeal. 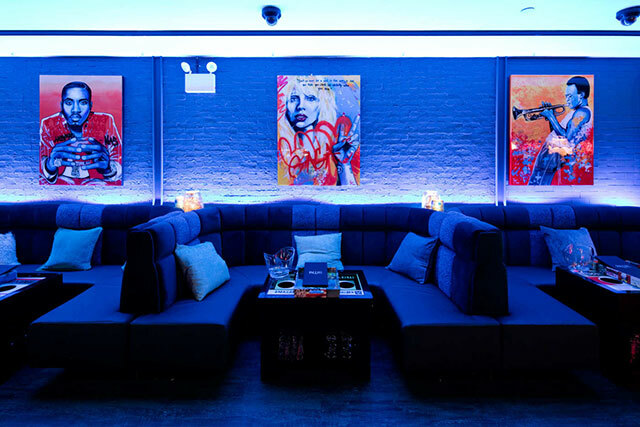 Nights at the Ribbon can last a little longer now with the addition of this social lounge which works to combine elements of modern music culture in NYC with the trademark hospitality of the Ribbon for a unique Blue aesthetic. Murals from artist Alex Yost adorn the walls of the lounge celebrating New York musical icons to really give a “finger on the pulse of NYC” feel. 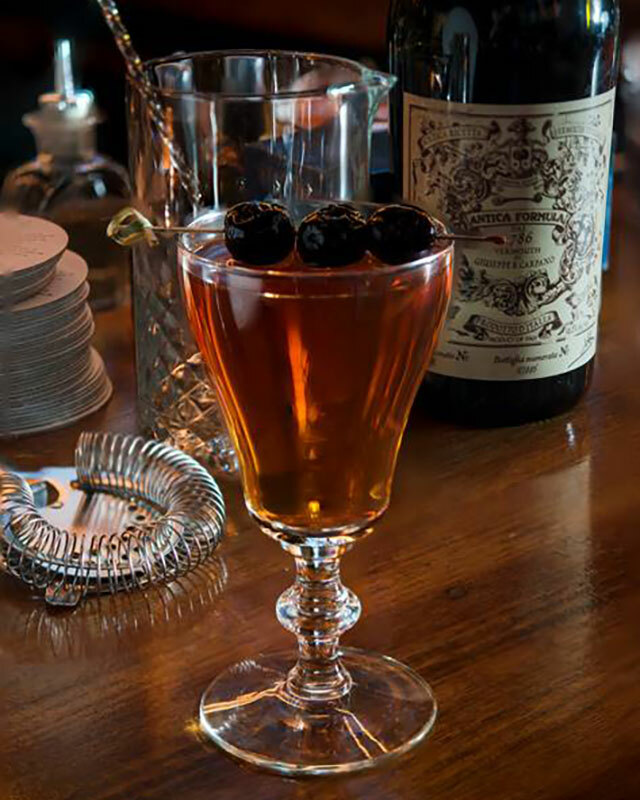 The Ribbon’s drink menu offers as impressive an array of diversity as it’s ambiences do. With a whiskey menu stretching 98 names long, it’s tasting offerings work for enthusiasts and rookies alike. Your sampling can range from names like Booker’s to name’s like Macallan’s, from French sherry’s to Japanese whiskeys and from price tags as low as $15 to price tags 7 times as much. The purpose behind this variety is to make whiskey tasting approachable, both for your tastes and for your wallet – and the numerous private dining spaces within the Ribbon support this. For those less keen on straight whiskey drinks, there are plenty of cocktail combinations to satisfy – and new recipes are rolled out every week. Take the “Fire & Blood” cocktail combining the limited edition Johnnie White Walker with vermouth and Campari in time for the Game of Thrones premiere in April. That’s the work of the showbiz nature of the area lending itself to creativity behind the bar making it so there’s plenty to look forward to with each new visit. 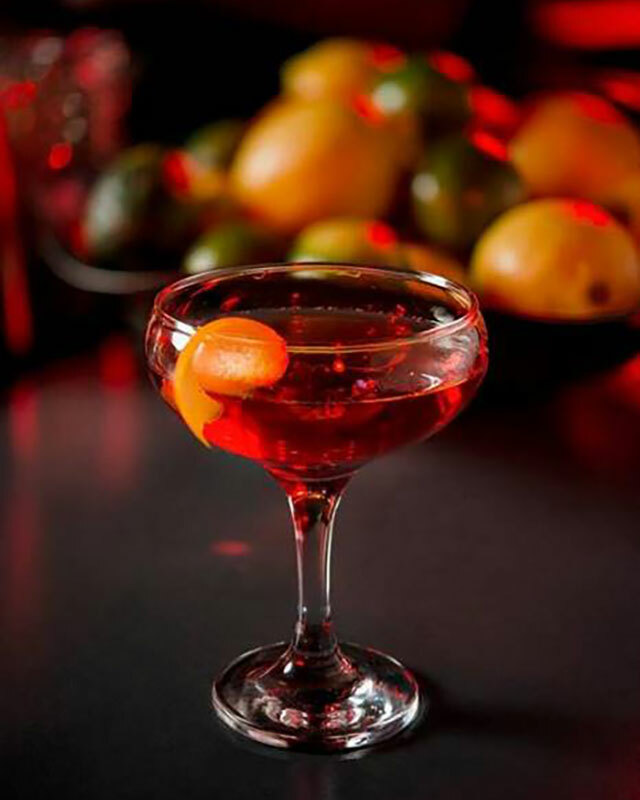 It’s drinks like these that show the Ribbon’s commitment to their traditional quality accented with a modern and cutting NYC flair. Campari, Sweet Vermouth & Johnnie Walker White Walker (Limited edition). Old Overholt Rye, Amaro, Green Chartreuse, Dry Vermouth, Bitters; named after the historic Franconia building which houses The Ribbon on 72nd Street. 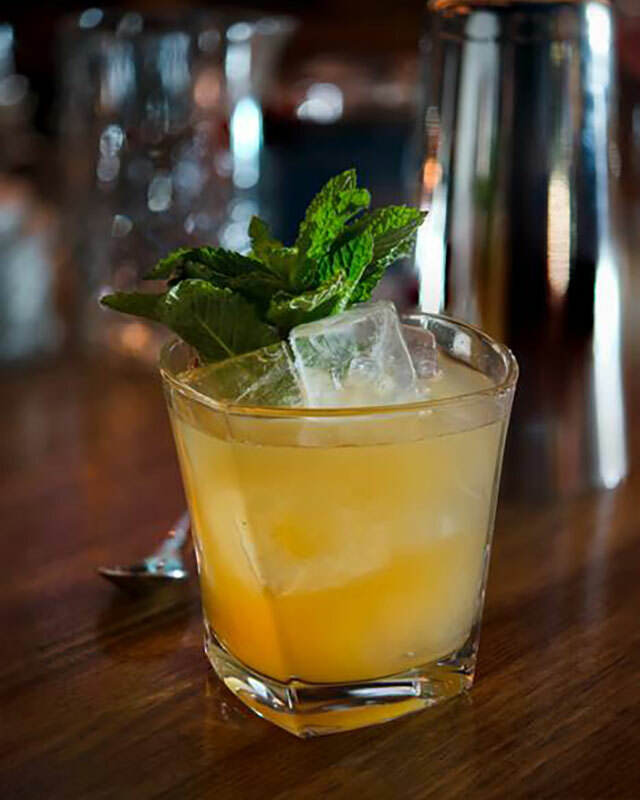 Four Roses Bourbon, Lemon, Mint & Apricot with mint leaves. 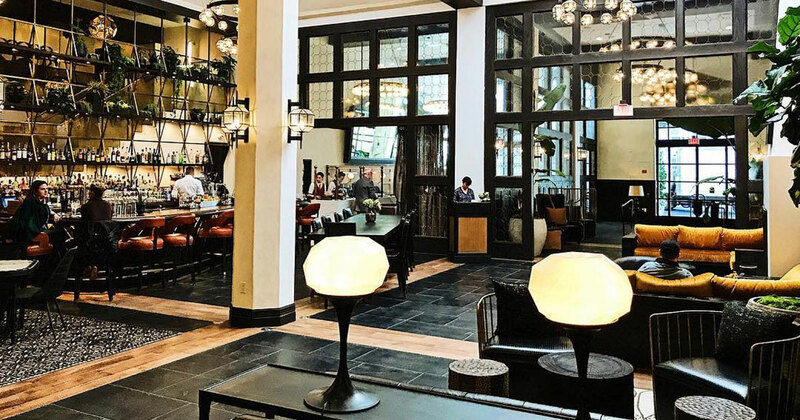 Placing yourself in the midst of Broadway is a challenge for any restaurant and one that the Ribbon has readied itself for extensively. Whether you’re going for a quick dinner before a show, to taste their elaborate whiskey menu, or to experience the new social lounge downstairs, the Ribbon midtown offers enough unique experiences to stand apart from it’s uptown sibling, while remaining loyal to what made the Ribbon such a success initially. Whatever the reason for your visit, it’s safe to say that the 44th street Ribbon is making a night out in midtown an option again.